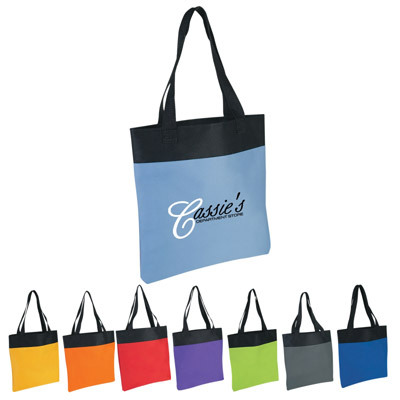 Personalized 600D Polyester Totes Custom Printed in Bulk or Blank. Promotional, Inexpensive. Budget Prices in the USA and Canada. Free Embroidery Tape for more! Wholesale advertising 600D Polyester Totes with shoulder length handles. Lowest cost in North America. Free Art Design. American Clients pay no taxes.